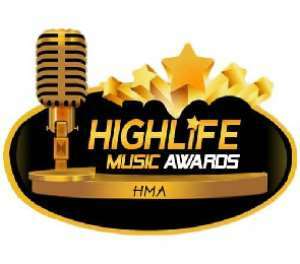 Highlife Music Awards (HMA) has been officially launched to appreciate musicians in the industry and also encourage this generation to appreciate the genre. Highlife music genre is known to have originated from Ghana in the 20th century. It uses the melodic and main rhythmic structures of traditional Akan music, but is often played with both indigenous and western instruments. The launch, which took place at the Movenpick Ambassador Hotel in Accra saw legendary highlife musicians like Gyedu Blay Ambolley, Rex Omar, Bessa Simons, Zapp Mallet and many others gracing the event. Nikills World Production, who are the organizers of the event, made it known that, the main event will be held on 22nd of June, 2019 and there be will be no public voting, but a board that is well knowledgeable of the genre, will be the one to pick the winners when the nomination comes out. They also added that there will be several activities to be done before the main event which will also be communicated to the public. President of the musician’s Union of Ghana, Bice Osei Kuffour otherwise known as Obour, who came to support the launch spoke about the importance of the awards scheme to the industry and encouraged that it comes to stay and promote highlife music.